It is often stated by parents and grandparents, ‘I slept on my tummy and I slept my babies on their tummies and they were fine’ or ‘I smoked around my babies and they are all grown up and ok – they didn’t die of SIDS!’ This is thought to be due to reduced arousal responses. However, arousal and swallowing mechanisms are needed to protect baby’s airway and work best when a baby is placed to sleep on the back. 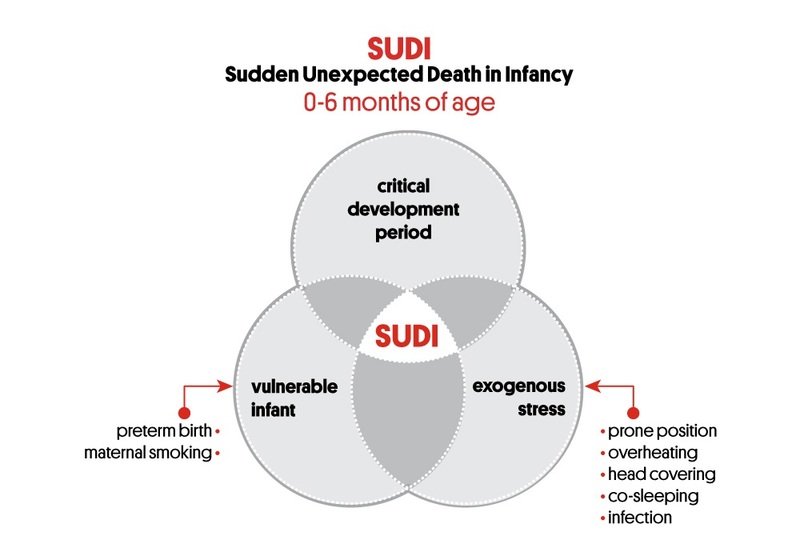 Although many studies have identified underlying risk factors for SUDI, the causative or pathophysiological mechanism that make some babies more vulnerable than others still remains uncertain. However, it is currently widely believed that SIDS is multifactorial. The Triple Risk Model (Figure 1) is useful for understanding why SIDS may occur with particular babies and why it is important to follow the Red Nose safe sleeping practices when caring for every baby. This model suggests there are three interacting factors: when all three are present, SIDS is more likely to occur. 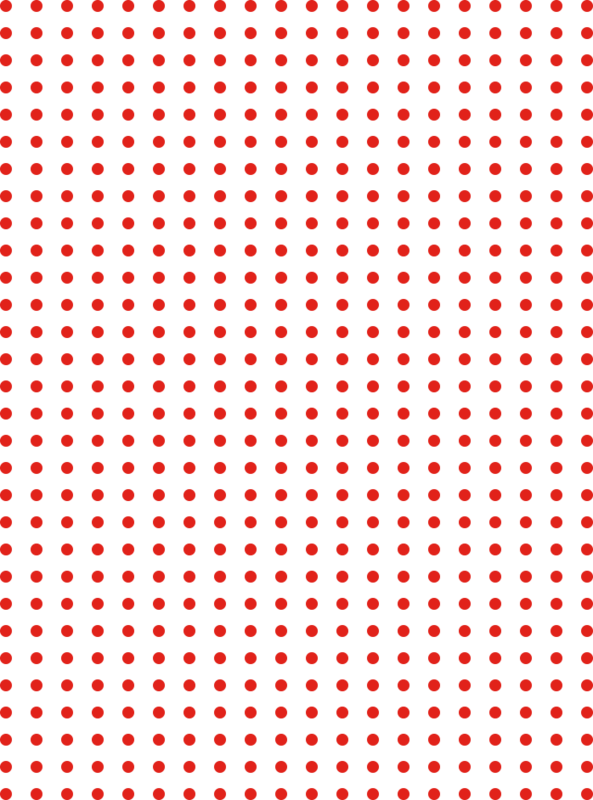 What are these three factors? The first significant factor of the triple risk model represents a baby with an underlying weakness or abnormality which may only become apparent when the baby is exposed to stress. At this stage it is still unknown exactly what this factor is, but we know that babies born preterm or whose mothers smoked during pregnancy are more vulnerable to SIDS. Theories include a dysfunction in the brainstem, a genetic factor or a problem with a baby’s arousal mechanism. Research is still ongoing for this factor. The second factor of this model refers to the critical and vulnerable development period of a baby less than one year of age, particularly when under six months of age. The third factor of this model involves the exposure of the baby to an outside stressor that may include known risk factors such as tobacco smoke, tummy or side sleeping position, overheating, head covering or an upper respiratory infection or illness. The Triple Risk Model proposes that a vulnerable baby, at a critical period of their development, is exposed to a stressor with which he or she is unable to cope. According to the triple risk model, SIDS does not depend, therefore, on one independent cause but may occur if there is an interaction of these three factors/circles occurring simultaneously. If you can remove one of the three interacting factors, SIDS is unlikely to occur. There are some factors that we cannot change such as the age of the baby (critical period of development) or identify, e.g. which babies may have an underlying vulnerability. However, if parents and all care providers can remove as many as possible stressors to which babies are exposed, such as placing them on their back to sleep instead of on the tummy or side, reducing second-hand tobacco smoke, overheating, head covering, loose bedding and unsafe sleep surfaces, they will minimise the risk of SIDS.